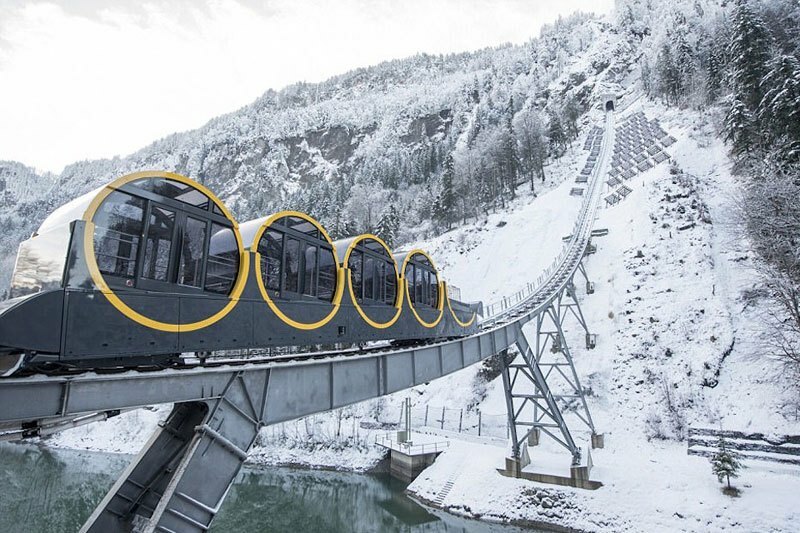 Residents of the car-free Alpine village of Stoos are now able to make the steep but direct, time-saving descent into the valley and the town of Schwyz in central Switzerland. Construction and planning of this stretch of funicular railway took over fourteen years and there are special gyroscopic carriages on the locomotive to ensure that passengers remain at a comfortable, upright position even when the gradient surpasses ninety degrees. Be sure to check out the link above for more information and some video footage of what must be a thrilling ride.